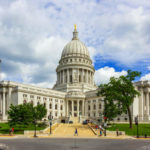 The US Supreme Court sent Wisconsin’s partisan gerrymandering case — Gill v. Whitford — back down to a lower court this summer, dashing Democratic hopes that the state Assembly map would be redrawn by the November elections. The plaintiffs say that state Republicans drew that map in 2010 to favor their own party’s candidates, and that’s widened their majority in both houses. 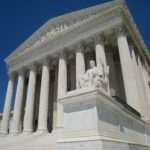 Now, lawyers are in the process of redeveloping their case, with the hopes that they can take another crack at the U-S Supreme Court, and maybe a landmark gerrymandering decision. That process involves adding plaintiffs to Gill versus Whitford. 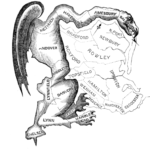 But lawyers are also in the process of working on a new argument altogether: that the gerrymandering has infringed on Democratic voters’ First Amendment right to assemble. For more on that argument and what happens next with Wisconsin electoral map fight, WORT producer Nina Kravinsky spoke with attorney Lester Pines, who’s crafting that First Amendment argument.